Singapore-based mobile games developer IGG hit $603 million in revenue and for 2017 thanks in large part to the success of it's free-to-play MMO Lords Mobile. The company also claimed $154 million in net profit for the year. The figures represent an 89 percent increase for revenue and a 117 percent jump for net profit year-over-year. Much of IGG's success has been boosted by the continued growth of Lords Mobile since its launch in March 2016. Revenues for the MMO grew by 252 percent year-on-year taking it from a monthly gross of $30 Million to $51 million by the end of 2017. IGG stated that as of February 28th 2018 the game was close to 100 million registered users and had in excess of 10 million monthly active users. Treasure fit for a lord! The developer's another strategy title Castle Clash also performed well despite being released four and a half years ago. The title nearly hit $12.7 million in monthly earnings and the number of MAUs remains above eight million. IGG managed to reach a total of 480 million registered users across its portfolio by the end of 2017, racking up 19 million MAUs in over 200 countries and regions worldwide. Asia has proven to be the developer’s most successful region, generating 49 percent of its revenues. North America and Europe meanwhile snagged 26 percent and 21 percent of revenues respectively. 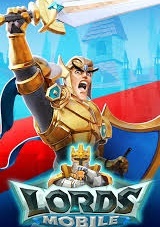 Lords Mobile has done extremely well, to generate $50 million a month is exceptional especially considering the game was only released in 2016. Hope to see more from IGG in the future. Next Next post: 2nd Prize Article: SHADOWFAX Journey in Lords Mobile!